Vanilla vanilla for me, please. Call me crazy, but I’m guessing chances are you don’t need me to tell you about Magnolia Cupcakes. 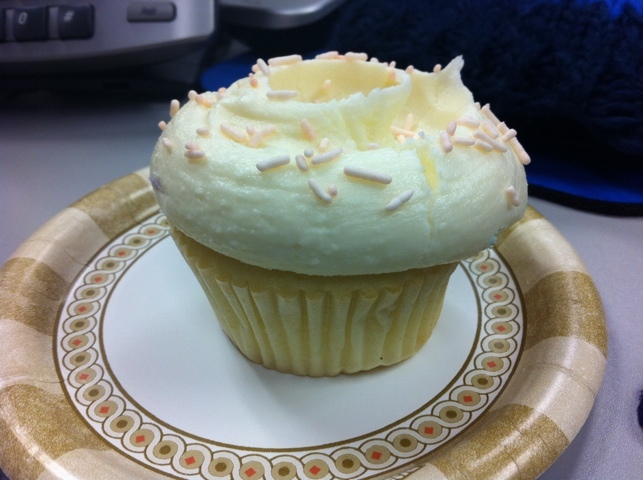 After all, I think they are at the epicenter of the cupcake craze, thanks to that hilarious SNL digital short. I don’t think they’re the best cupcakes in town (Sugar Sweet Sunshine may hold that honor), but they are certainly among the best. And who doesn’t like cupcakes? I’m partial to the vanilla cupcake/vanilla frosting combo, myself, even if the frosting is mixed with chartreuse #6 or some other food coloring. Either way, it’s a yummy, thick buttercream frosting. 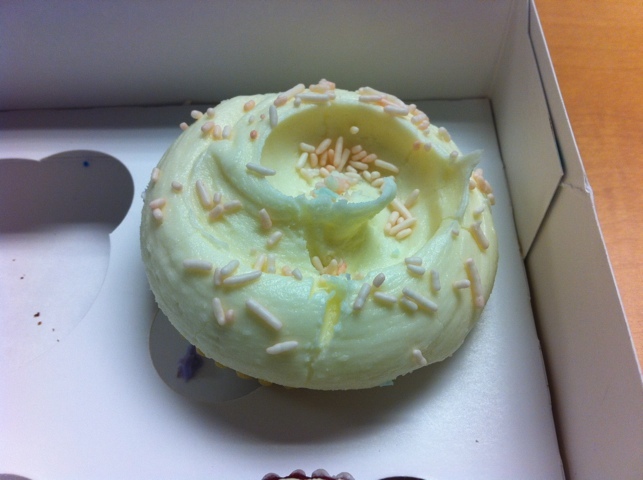 Of course, the sponginess and freshness of the cake portion is absolutely vital to the success of a cupcake too. On this day, it was a bit stale, but still tasty. There’s a slight aftertaste to Magnolia that I can’t quite put my finger on. It tastes like… I don’t know, some chemical flavor, or something artificial. At first bite, there’s buttery goodness, goobers of frosting, etc. – everything you’d want from a cupcake. But somehow afterwards there’s a faint tart note that just doesn’t read right. This is extreme nit-picking, but there you have it. 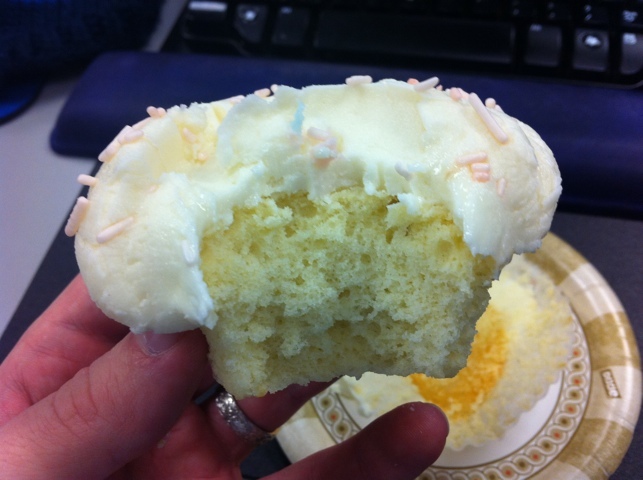 Another virtue of Magnolia Cupcakes is their size: four bites, usually. Not too big, not overwhelming, just four bites of happy. I’m a huge fan, but strongly encourage people to try the other goods they sell, which in many ways are better at this point. Lemon Bars, blondies, miniature pies, all delicious. Be prepared for lines whichever branch you go to. On this coast, I am told that Pie is the new cupcake. BTW which cupcake did we get after that night at the Corner Bistro? Review to come before too long (preview: not as good as Magnolia, which is not as good as Sugar Sweet Sunshine).